Eyelash extensions not just help enhancing the length, fullness, thickness and curliness of the natural eyelashes but also add to a person’s beauty. With their ever increasing popular across the globe, the demand for eyelash extensions has only multiplied over the years. If you are a cosmetics manufacturing companies looking for top quality custom eyelash packaging for your products, you are at the right place! The Legacy Printing can help you get eyelash boxes created right according to your business needs. Categories: Custom Boxes, Custom Printed Beauty Packaging Boxes, Custom Printed Cosmetic Packaging Boxes, Custom Printed Personal Care Packaging Boxes, Packaging Products. If you are in search of a premium quality custom lash packaging company, your search ends here! The Legacy Printing is one of the leading custom box printing companies in the US. Located in Anaheim, California, we offer all kinds of custom boxes including eyelash box packaging. No matter the size, shape or box style you may require for marketing your eyelash extensions, we can fulfill all your packaging needs. We offer printing of custom lash boxes in all types of cardstocks. If you require them done on a kraft card stock, we can do that too. Don’t have a design ready for your eyelash boxes? Let us help you with our free online design support, and this is not all. We offer free unlimited design revisions for all your custom eyelash boxes. What more could you expect? We make use of premium quality cover card stock, kraft card stock and many more. You may also order rigid eyelash boxes. At The Legacy Printing, we believe in total customer satisfaction, therefore we offer lightning fast turnaround time matched with top quality products that would exceed your expectations. 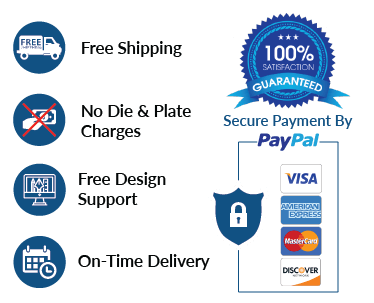 Our highly trained, courteous and round the clock customer support helps you get your custom box printing order done from scratch till the end without any delays. Need to learn more? Have a chat with one of our customer support representatives and get online live assistance.